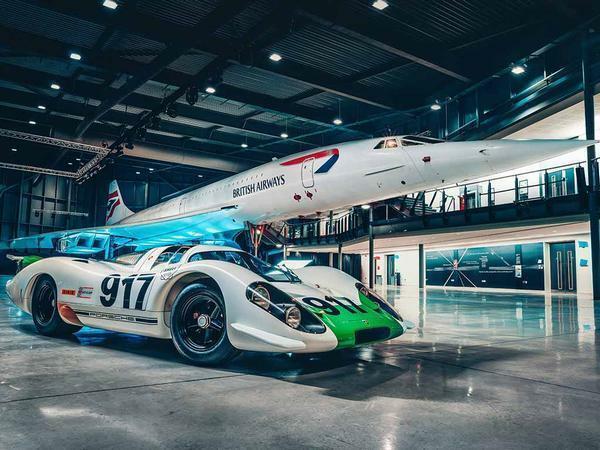 Home > News > Porsche News > Porsche 917-001 meets Concorde: Time For Tea? On April 9th 1969, a Concorde prototype set off on its first flight - from Filton Airfield in Bristol, no less. From then until October 2003, it broke records, captured imaginations and redefined 20th century air travel - before retiring with no direct replacement. It was the same year, the same month in fact, that the first Porsche 917 began its development process ahead of the Le Mans 24 Hours. 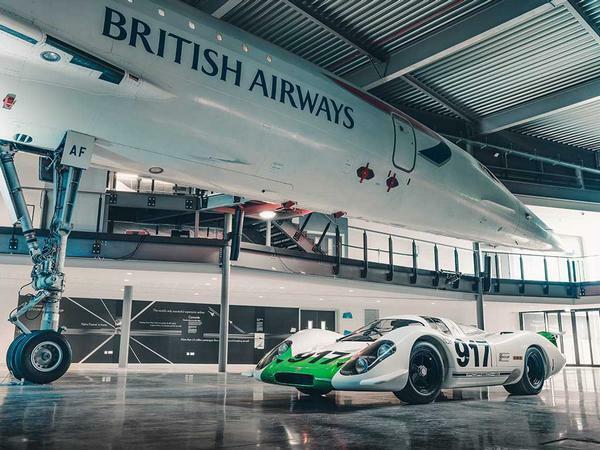 Like the plane, the 917 established a level of speed and performance previously unknown, and - like Concorde - continues to fascinate enthusiasts decades later. What better opportunity, then, given those events were 50 years ago, to get Concorde and 917-001 together. 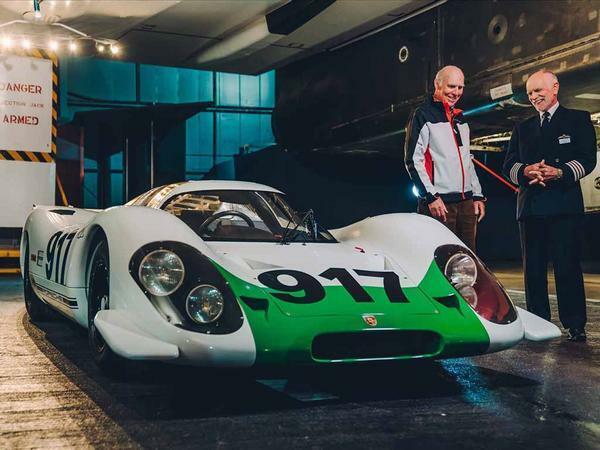 This Porsche video has been published today, featuring 1970 Le Mans winner Richard Attwood talking Captain Tim Orchard - Concorde pilot, and joint record older for the shortest commercial flight between New York and London, at 2hr 52m - around the legendary racer. Naturally the favour is returned, the Concorde in this video the last one ever to be flown; 'Alpha-Foxtrot' completed 6,045 flights in total, and now lives at Aerospace Bristol, a fitting resting place given it's where the Concorde story began. What a fantastic article! Great to see the 917's at the Goodwood MM last weekend, even better to hear them on the track! They have done a nice job at Filton to diplay their Concorde. It's well worth a visit if you are passing. I'm going back soon when they have completed work on the nose hydraulics enabling it to droop once again. Two of my favourite things in once place and it's just down the bloody road! Lucky enough to have flown in one (this one in fact!) and see the other racing, can't imagine I'll ever get to drive a 917 but that's what dreams are for. They have done a nice job at Filton to display their Concorde. Agreed, a good mate works for Rolls so was lucky enough to visit during one of the preview days. Still looks glorious, if a little sad with her paintwork a bit faded after being outside so long. Great video. Two veterans being oh so modest when in fact they both were, as one of them said, stepping out into the unknown. I was smiling watching it, it was a real pleasure. Also, just how small is that Concorde cockpit!? Tenious link between the 917 and Concorde? The 917 was under development in '68 and they had built three cars later that year, the FiA at the time had said that cars in bits or 908's being sold to privateers didn't count. So they withdrew the homologation as they didn't think this was compliant, the number of homologation cars was reduced from 50 to 25. 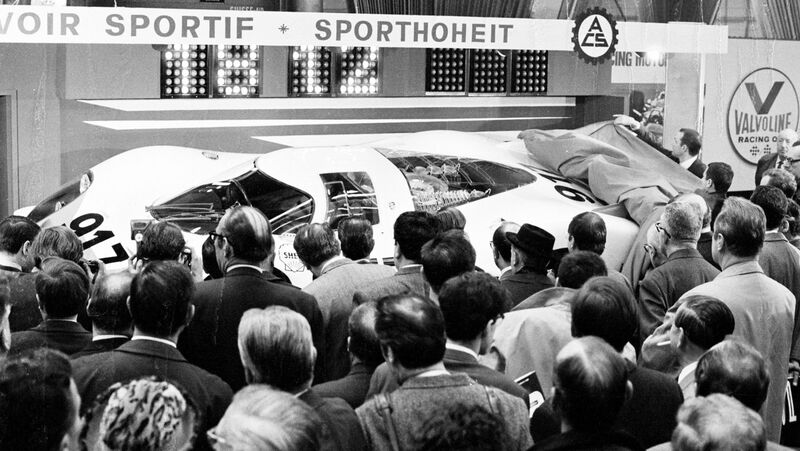 The car was launched for sale at the '69 Geneva motorshow in March and 3 cars were already testing that month at LeMans. The picture of the 25 cars lined up in front of the factory was in April 1969. After the FiA was offered the infamous offer to drive any of them by Piech, all but 2 were disassembled that month. This is Porsche GB getting Goodwood leftovers and making it look like they were the same because the longtail looks the same side on. Concorde was doing a maiden flight in Britain in May '69 and little changed in the design until that one was parked up in 2003.